Caroline Herschel (1750-1848). 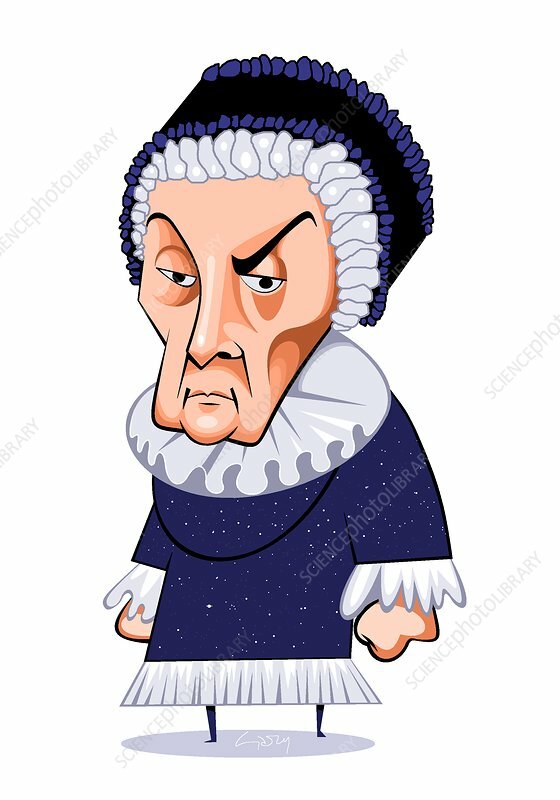 Caricature of the German-born British astronomer and sister of Sir William Herschel, Caroline Herschel. Caroline Herschel is best known as the first important female astronomer. She was born in Hannover, Germany, but moved to England to join her brother in 1772. Both brother and sister gave up successful musical careers for the sake of their all-consuming interest in astronomy. Caroline never married and submerged herself almost completely in her brother's career. She would spoon-feed William during the long hours of grinding a telescope mirror and take notes for him in his observatory. She also observed the heavens with her own small telescope, discovering eight new comets.